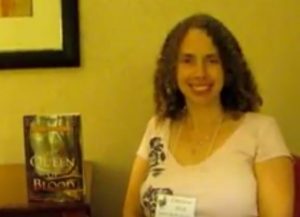 Sarah Beth Durst – Author of 11 fantasy novels for kids, teens, and adults. JMW: Hello, this is Jean Marie Ward for BuzzyMag.com. With me today is award-winning best-selling author, Sarah Beth Durst. Welcome, Sarah. Sarah Beth Durst: Thanks so much for having me. JMW: We’re thrilled you could be with us. You write for so many different audiences, YA, children, and adult. Which comes first when you sit down to the keyboard, the characters, the world, or your target age group? JMW: The book that just happens to be beside you. Sarah Beth Durst: The book that’s just right here. The main concept is this world filled with nature spirits, but they’re not these like sweet frolicking pastoral sprites, they actually want to kill all humans, and only certain women, the queens, have the power to control them. So, the very first idea was this blood-thirsty nature spirit, and this idea for a character who was not the chosen one but desperately wanted to save her family, and when those two ideas hit together, it grew from there. So, it started as two little ideas that combined and then grew, and that’s usually, for me, how it works, is that I’ll have one concept that’ll bump into another. I’ve actually also developed ideas by simply making a list of things that I find awesome, and mushing them all together, and then seeing what grows out of that. JMW: Well, speaking of sparks and the little things that come together. What was the origin of these predatory nature spirits? Sarah Beth Durst: I can actually trace the origin for this book down to a single moment, and that’s not always the case. Sometimes you write a book and at the end you’re like, “I don’t know where it came from, my subconscious…” But no, this was one moment. I was at this writing retreat in the Poconos, and it was beautiful. It was out in the woods, there were these tall trees, babbling brooks, you know, birds singing, and I’m walking along up to this little log cabin. We each got these little cabins in the woods, and I was looking up at the trees, and listening to the birds, and marveling at nature, and I tripped and fell flat on my face. So, it was a combination of the trees, and I cut my lip, and the blood, I was like, “Bloodthirsty nature spirits.” And it was born in that moment of extreme klutziness. JMW: Did the character come at the same time, or did she come later? Sarah Beth Durst: She came later. 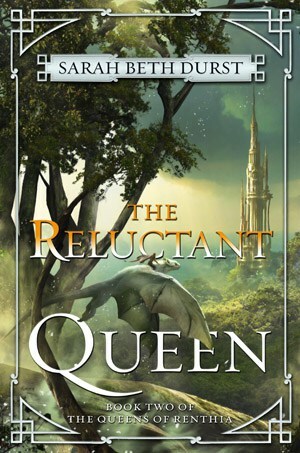 I actually wrote about 80 or 90 pages of the book that will be book two, “The Reluctant Queen “, and it started there. And we sent that to my editor, David Pomerico at Harper Voyager, and he said, “I love this, but can this be book two?” And I said, “Sure.” And now that I’ve written it, I can’t imagine the story starting in any other place. So, it just, it feels right now that I wrote it, and it made for such a unique writing process, too, knowing where I needed to end up. JMW: That’s very cool. Assuming the spirits played nice, this also goes to “Queen of Blood“, what would be the best thing about living in a tree village? Sarah Beth Durst: The world that I created with Renthia, all these nature spirits have created this world filled with extreme beauty. Like, it’s not just that you have a forest with trees, you have a forest with massive trees, and the houses are about halfway up and they’ve budded out of the wood itself. You know, the mountain land are these huge sky-piercing mountains. The ice land, massive glaciers. So, it’s this extremely beautiful world with this kind of danger of imminent death, but if you take away the imminent death part, it would be a gorgeous place to live. 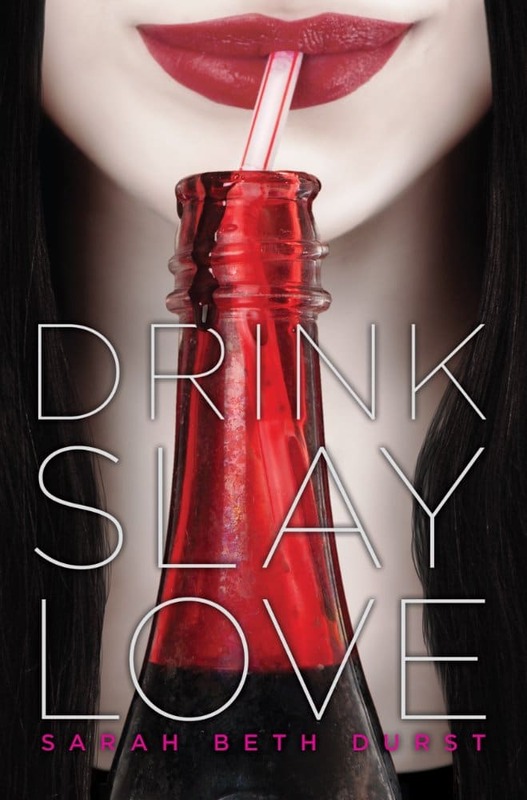 JMW: Going from one kind of bloodthirsty creature to another, your vampire novel, “Drink, Slay, Love “, has been made into a Lifetime Channel movie. Can you tell us a little bit about that? Sarah Beth Durst: I’m so excited about that. It’s going to air on Lifetime in early 2017, and they just finished filming a couple of weeks ago. And I’m so excited. It’s an incredible feeling to think that these characters that were just in my brain, that these actors were going around being them, and that the story is going to be on the screen to be shared with people in a different way. It’s really exciting. JMW: Are you a little scared about what’s going to happen, or are you just, can’t wait to see it? Sarah Beth Durst: I can’t wait to see it, really. I mean, the book will always be the book, no matter what, and so this is just another way to experience the story and the characters. But the actors that they picked to play, I think, are all wonderful. Cierra Ramirez is playing Pearl. Gregg Sulkin is playing Jadrian. And they picked all these wonderful actors, and the director’s wonderful, Vanessa Parise. And I was watching online while they were filming to see like the different sets and the scenery. They filmed in Canada, and the sets are gorgeous. So, I have really high hopes, I’m very excited, that it’s going to be great. JMW: We’ll all be looking forward to it. Sarah Beth Durst: Thank you. Sarah Beth Durst: Yeah, all dead. 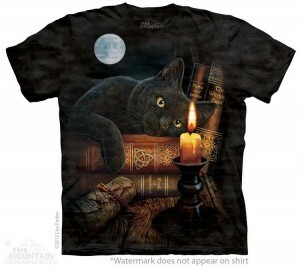 JMW: What allowed your tale of a snarky teenage vampire to confound those dire expectations? Sarah Beth Durst: I don’t think I could have written “Drink, Slay, Love” if there hadn’t been so many vampire stories before it, and one of the things that happens when you write is you are building on everything that’s come before. So, my evil vampire, I wouldn’t have gotten to play with her quite as much if I hadn’t had all those reader expectations of all the other vampire stories. Pearl is an evil vampire girl, and she gets stabbed through the heart by a unicorn’s horn, as happens, and she starts developing a conscience. And she’s really mad about this because she really doesn’t want to like humans. She doesn’t want to be good. She likes being evil. And so, it’s very much a playing with the vampire mythology and playing with those expectations, and turning them on their head and inside out. And can I just say, writing an evil character was so much fun because you just think of, “What would I never do or say?” and she gets to go do that. JMW: Your shadow self. Do you plan any more of those? Sarah Beth Durst: I might someday. Right now, I’m pretty enmeshed in Ranthia, so I’ve got two more books planned in the Ranthia series. 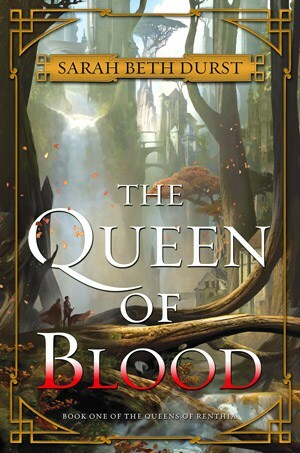 “The Reluctant Queen” is coming out in July, and then 10 months after that will be “The Queen of Sorrow“. JMW: The next question is, what are you working on now? Is it “The Queen of Sorrow“? Sarah Beth Durst: Yes. Well, actually, I’m reviewing copy edits for “The Reluctant Queen” right now. That’s nearly done. I love looking at copy edits because I love commas and hyphens and stuff, so I get to look at the little details. JMW: You’re a grammar nerd? Sarah Beth Durst: I’m a grammar nerd. It’s true, it’s true. Well, you know, they’re a writer’s paintbrush. You know, you’re just crafting the world through the breath of a comma. So, I’m doing that and I’m writing “Queen of Sorrow“. I’m also working on my next book for kids. My next kids’ book is called “Journey Across a Hidden Island “, and that’s coming out in April. And that’s about two princesses, a winged lion, and a whole lot of monsters. JMW: Whoa! So, what age group will it be for? Sarah Beth Durst: That one is for ages 8 to 12. JMW: Ah, okay, okay. And lots of stuff in the head percolating, right? JMW: We’re coming up against the end of the interview. Is there anything you’d like to add? Sarah Beth Durst: Keep reading, and thank you for reading. JMW: Thank you, Sarah, and thank you for BuzzyMag.com.